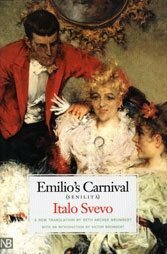 Yale University Press, Emilio's Carnival (Senilità) 1898 (2001). 233 pages. Svevo’s Emilio Brentani is a struggling, 35-year-old writer who lives with his staid sister Amalie in mostly sunless late 19th-century Trieste. His “drab” daily life is that of a classic artistic depressive, guiltily self-conscious and sensitive to a host of personal failures both real and imagined. Enter flirtatious and capricious Angiolina Zarri, a pretty working class blonde who wants to get ahead in the world. To Emilio, she’s a man-eating blonde goddess in patent leather boots, the emissary of an inner vulgarity he desperately desires but also loathes. 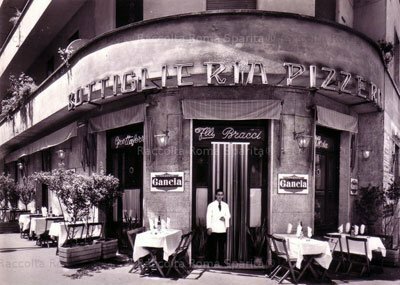 He’s besotted to the point of delusional paranoia (“Perhaps Angiolina exists only so that I can live.”), which explains the book’s Italian title, senilità, senility, an inert state of mind Emilio and Amalie, two sides of the same coin, have arrived at prematurely. Ange is willing to play at Emilio’s game, at least in part, but she also wants more, her starlet eyes constantly alert to improving her social status, and thus the frenzied dance begins. Emilio is torn between his obligation to his weak Amalie, delusional for different reasons, and his all-encompassing focus on Ange, which grooms the masochism and self-loathing that make his contradictions tick. His life is his obsession and the obsession a form of sustenance. That Svevo, born Aron Hector Schmitz, constructed this unnerving psychological love story in the 1890s, well before mainstream psychoanalysis and Hollywood myth wormed their way into modern literature, is remarkable of its own accord. That was also able, for the length of a 19th-century novel, to amass and dissect the component parts of delirious jealousy and emotional paranoia is more remarkable still. The alternately raging, moping Emilio sees rivals for Ange everywhere, but his greatest obstacle is a psychic sickness — “his chronic musings about himself…” — that in turn gives him comfort. 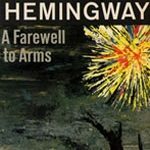 If the Modernist movement ever had a novel of record, this might be it, presaging the existential angst of a mad century in terms of the interplay between the overly sincere and the overtly frivolous, one side prone to sentimental exaggeration and the other more coldly susceptible to expediency. Svevo (1861-1928) met his biggest English-language fan, James Joyce, in 1907, and would later become a patient of distinguished Freud disciple Wilhelm Stekel.